On 2 October 2015 we showed the film Cowspiracy. 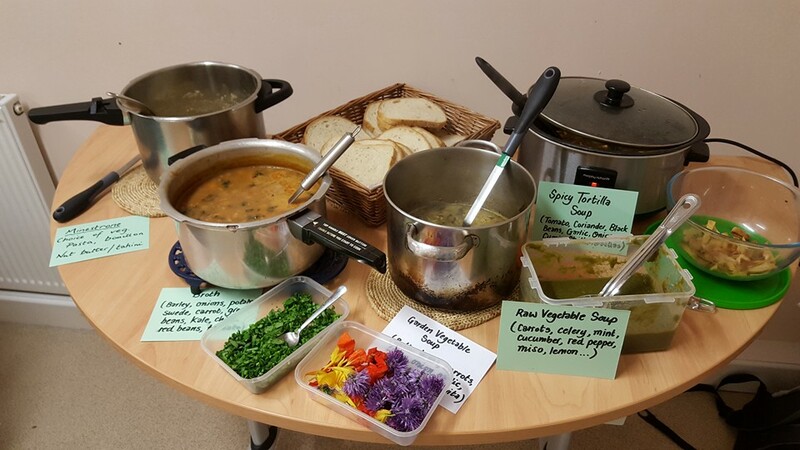 In the interval, a selection of soups were offered to the audience, made by some of the volunteers in the group. Soup is one of the easiest vegan dishes to make, and it can go a very long way with very money. This broad selection covered various cuisines, such as Mexican, French and a raw dish (kept under 40°C to preserve the most nutrition).